From P10,000, you can now avail up to P20,000 assistance in Kabuhayan Package of Department of Labor and Employment (DOLE) under the Integrated Livelihood and Emergency Employment Program (DILEEP). DOLE Chief Silvestre Bello III said the increase aims to help vulnerable and marginalized workers, and contribute to poverty alleviation. It is a contribution of DOLE to the agenda of the government on inclusive growth through massive job generation and substantial poverty reduction and reduces vulnerability to the risk of the poor, vulnerable and marginalized workers. 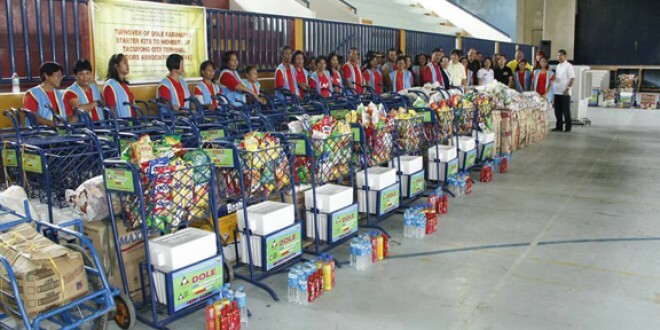 Livelihood or "Kabuhayan Program" is one of two programs under DILEEP. Kabuhayan program is a grant assistance for capacity-building on livelihood for the poor, vulnerable and marginalized workers. Under the new and revised guidelines, individual beneficiaries can now avail Starter Kit or Negosyo sa Kariton (Nego-Kart), up to a maximum financial assistance of P20,000 depending on the project requirement under the Livelihood or KABUHAYAN Program. 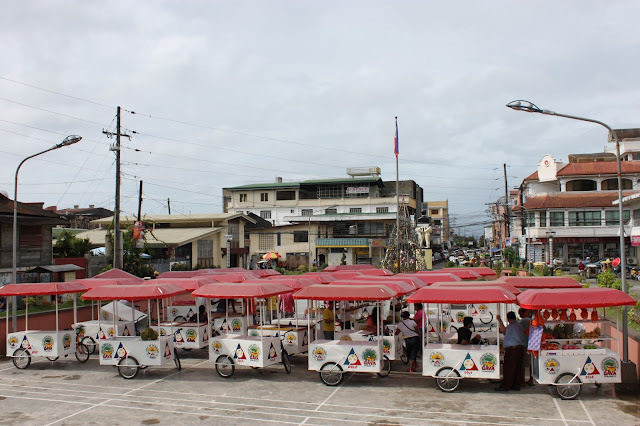 Kabuhayan Formation - enabling the unemployed poor, seasonal and low-waged workers to start individual livelihood or collective enterprise undertakings. Individual projects shall have a maximum project cost of P10,000 depending on the project requirements. Kabuhayan Restoration - enabling the re-establishment of lost or damage livelihood due to disaster. Individual projects shall have a maximum project cost of P10,000 depending on the project requirements. Who are the priority beneficiaries of the Kabuhayan Program? What are the packages of assistance beneficiaries may avail from the Kabuhayan Program? Continuing technical and business advisory services to ensure efficiency, productivity, and sustainability of the business/enterprise. 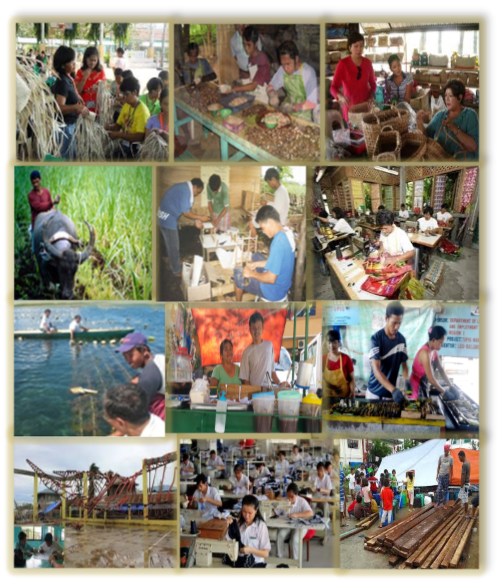 Aside from individuals, the livelihood program can also be availed by the organizations based on their categorization into micro, small or medium livelihood. P250,000 for 15-25 members, depending on the project requirements. How to access the Kabuhayan Program or How to Apply? 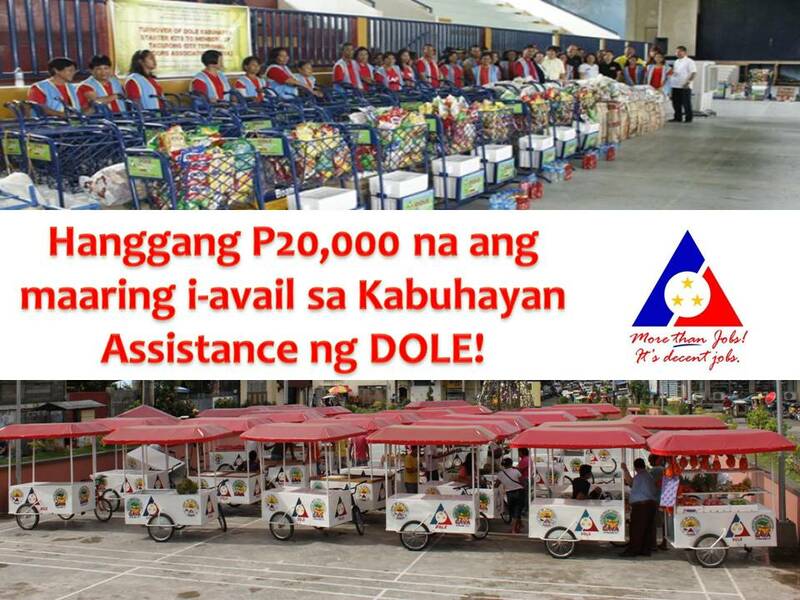 For more information regarding this program, you may contact or visit the nearest DOLE office in your area.